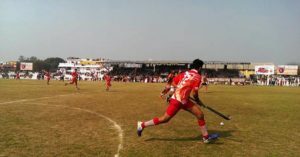 The Kila Raipur Sports Festival – the annual four-day-long sports jamboree held in Kila Raipur on the outskirts of Ludhiana city– is a crazy celebration of not just sportsman spirit but also Punjab’s rural culture. This year marked the 80th edition of the festival, which started in 1933 as a recreational event where farmers from the neighbourhood could congregate and test their rural skills and corporal endurance. 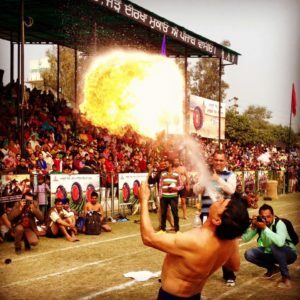 Over the following decades, the festival evolved, and what we see now is a rural carnival of sorts – with cultural shows and exhibitions upping the entertainment quotient of the event. 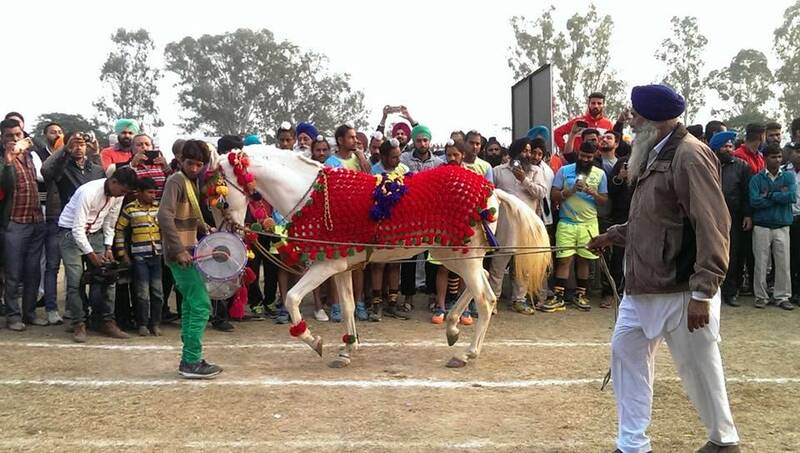 Every year thousands of sports and ‘Punjabi culture’ enthusiasts from across the country and abroad travel to Kila Raipur to witness this yearly spectacle. 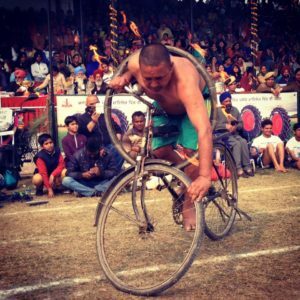 While the sporting feats on the stadium ground are such that they leave the audience agape, anyone who has witnessed this festival would agree that the stunts and antics around the stadium are no less entertaining. Here are some photos from the festival to give you an idea about what Kila Raipur’s Rural Olympics is all about. Septuagenarian Sardar Hardam Singh ji. 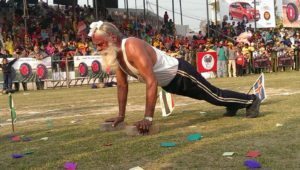 At the Kila Raipur Games last year, he earned accolades galore for completing 100 push-ups in front of a stadium packed with cheering audience. And this year he further upped his game with 150 push-ups at one go. 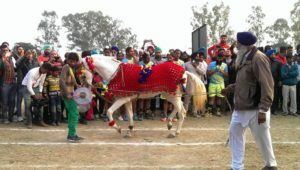 This decked up mare was an absolute entertainer at the stadium ground, enthralling the audience with her dance moves. It was amazing how she moved in rhythm with the beats of the dhol. Village folk participating in the tractor tyre-racing event sponsored by the festival’s title sponsor – MRF. 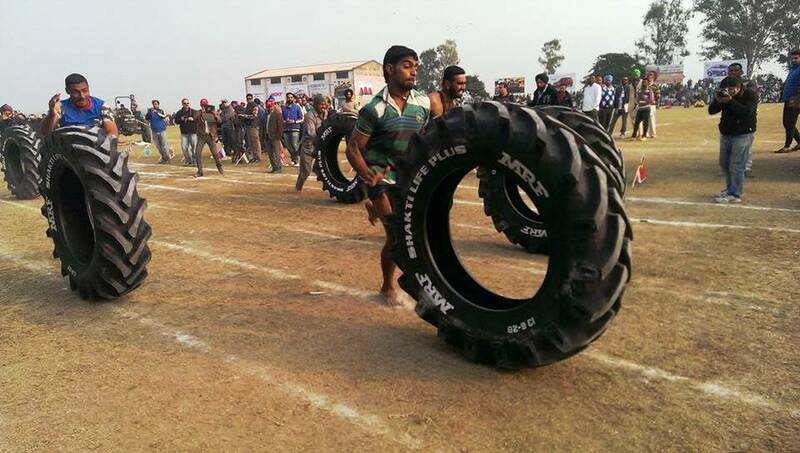 The winner got to take home a brand new tractor tyre. Punjab’s heritage and culture. 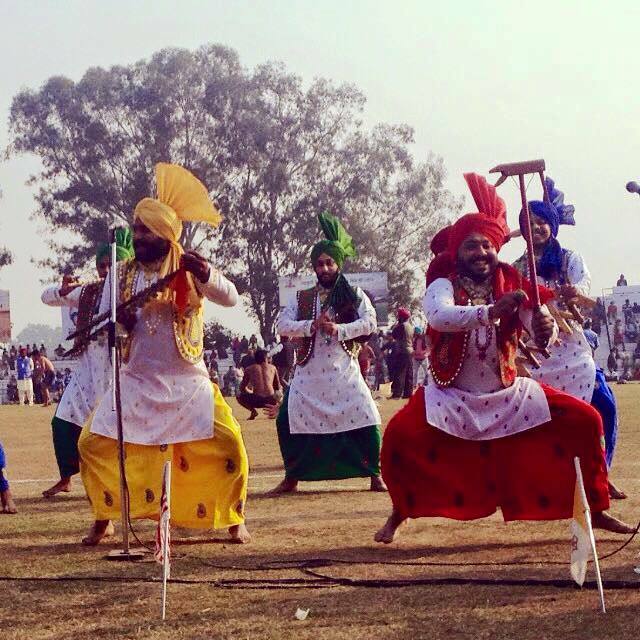 Here a group of men perform the traditional bhangra dance for the audience. that involved a show of physical strength. Another stuntman showcasing his skills at the bizarre. A kabaddi match in progress in one section of the stadium. 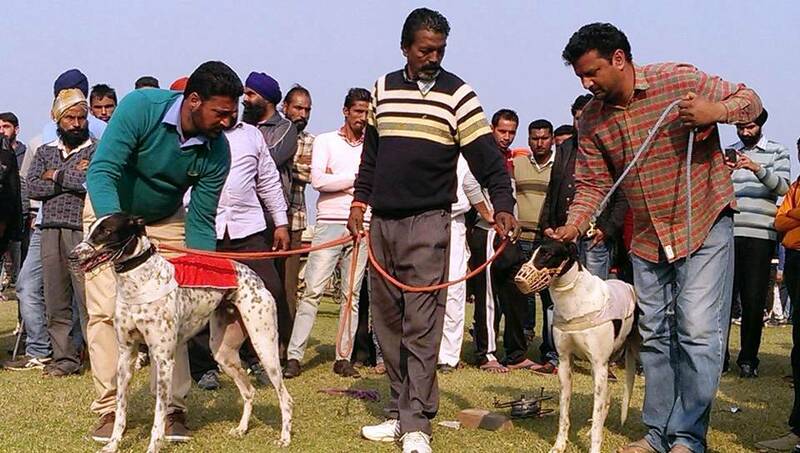 In rural Punjab, they still take their kabaddi seriously. While the players inside the field applied sundry tactics to deal with their opponents, the audience too cheered them up with much vigour. 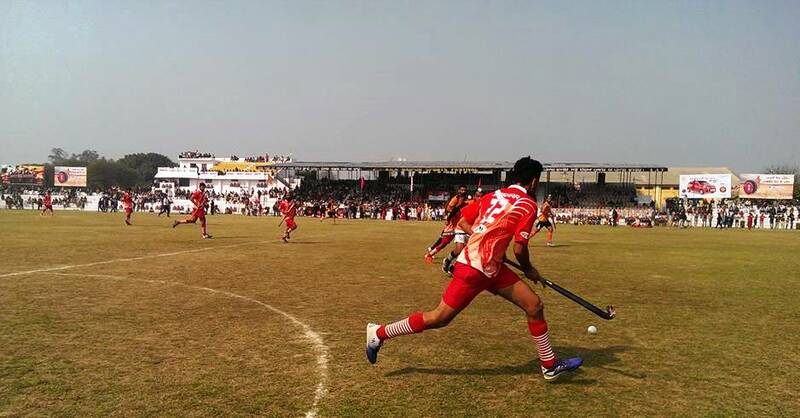 Hockey – another game that attracted the largest of crowds, of course, I state the obvious. The enthusiasm but on and off the field was crazy! spend big amounts to get them race-ready. Nihangs dressed in traditional attire taking in the proceedings around the stadium. 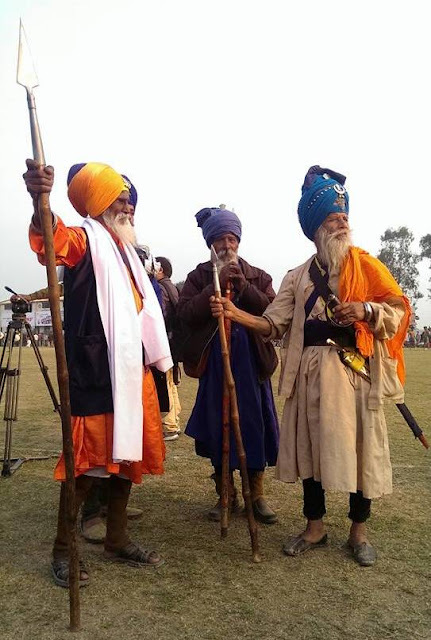 They are a much revered armed Sikh order renowned for their military valour.